Emily Oberg has carved out a space for herself in the streetwear community thanks to her personal style, visibility as a Complex News anchor and passion project Sporty & Rich, a multifaceted lifestyle brand that extends to artfully-curated Instagram and Tumblr feeds, embroidered wardrobe staples (t-shirts, sweatshirts and hats) and a past collaboration with buzzy brand Anti Social Social Club. Oberg introduces a periodical into the mix as she makes her foray into publishing with the release of Sporty & Rich magazine on May 25. Oberg cut her teeth co-directing and co-producing the Complex documentary "Sold Out: The Underground Economy of Supreme Resellers," which premiered in late 2015 and has garnered over 350,000 views on YouTube. Over the past year, she's leveraged her connections and industry know-how to create the editorial iteration of Sporty & Rich. The 60-plus pages of interviews, essays and pictorials cover art, architecture, interiors and fashion from Oberg's uniquely crafted perspective. Born and raised in Calgary, Canada the 22 year-old has called NYC home for just two years but she's made up for lost time by filling her schedule to the brim and maximizing her efficiency by participating in "clean" living: no smoking, no drinking, frequent workouts, an emphasis on healthful eating and ample sleep. 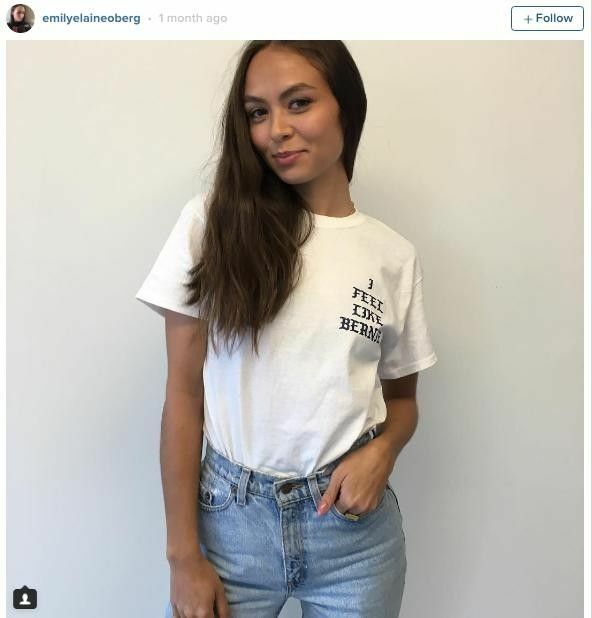 In addition to her day job, Oberg often partakes in two-a-day workouts, sometimes moonlights as a DJ, models, finds the time to engage with her combined 207k followers on Instagram and Twitter, and is constantly working on personal and professional projects. We spoke about her personal aesthetic, the embodiment of a Sporty & Rich lifestyle and what we can expect from the magazine. Yes, I have. My aunt was a buyer for Club Monaco when I was really little, so she always kind of inspired me to like nice things and be into labels and everything like that. So at a young age, I was like, "I definitely want to work in fashion." I always thought I wanted to do PR though, oddly enough, but now I'm working with PR people and I'm like, "I would never work in PR." It seems terrible. You'd just be kissing people's asses all day long and I'm just like, "Nope." I would say my dad probably because he's a sneakerhead, so that's how I got into it. When I was younger, I was way more girly, I never wore sneakers, I was obsessed with Olivia Palermo. I still love her; I love the way she dresses, but girls like that. But definitely my dad and my boyfriends always dressed so well. I think that's a huge influence for a lot of girls, having stylish boyfriends. They kind of like wear their clothes and copy them. How did the idea to create a magazine come about? It started off as just a fun side project; my friends were always like, "You should do a 'zine!" because everyone does 'zines. And I was like, "Yeah, why not." It just started naturally like that. I've always loved collaborating with people that I meet and like in the industry and all my friends, because everyone I know is so creative. So I just wanted a platform for all of us, where we could all showcase our work in a physical form. I'm so over digital right now; like working for Complex, it's all online, we have the magazine but I'm not a part of that. So I just wanted something physical and I wanted to give all my friends and all these great people that I have met the chance to show their work and claim something. In your own words, describe what it takes to be Sporty & Rich. [Laughs] People always ask me -- they're like, "What does it mean?" It's such like a silly, funny term. Honestly, I think it's just being healthy, like taking care of yourself, working out or eating well, even from the products that you choose, skincare -- everything should be organic and whatever. And then the "rich" aspect is just liking nice things and investing into quality products rather than just cheap fashion, things that will last. I think just appreciating well-made things. There's so much variety with regard to the content in the magazine. Is this in some way meant to broaden people's perspectives of what it means to be Sporty & Rich? Definitely. I think at first people might think of Sporty & Rich as some sort of shallow name, but it's an overall lifestyle and aesthetic. 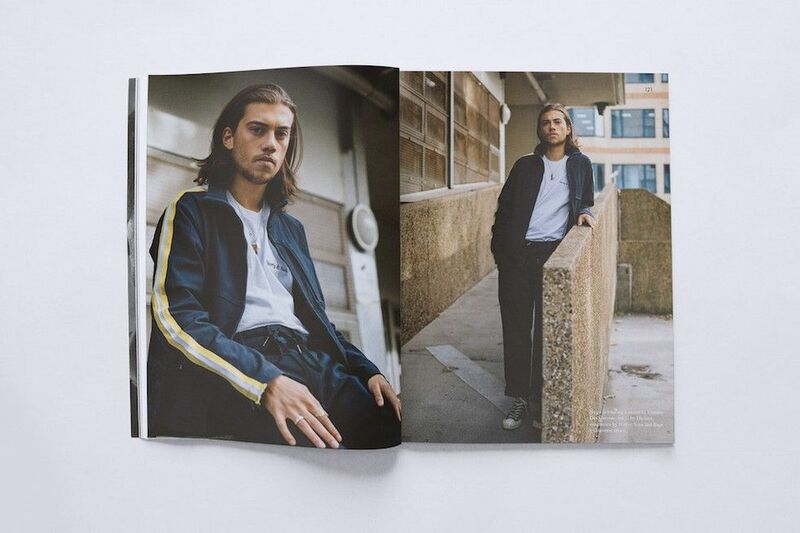 The magazine embodies everything Sporty & Rich, it defines the look of what the term means. I hope people will have a better understanding of my vision for the brand with this project. The content in this first issue is mostly evergreen and not timely, while still being a reflection of the times. I didn't want it to be super on-trend or of the moment because I want them to live on and be relevant years from now. I think that's what really sets it apart from other magazines that are out there. It's more of a look at the past, and a little bit of what's cool now as well. What are you most excited about sharing in the magazine? There's an interview with Suzanne Mallouk, Jean-Michel Basquiat's ex-girlfriend who now works as a psychiatrist. I had the idea to do the interview for a while, just because I'm such a fan of him and of her; in all of his biographies and documentaries, she's mentioned. I have been fascinated with the idea of depression and mood disorders and how they correlate to creativity so I thought that she would be the perfect person to speak to. I am also looking forward to sharing the first ever Sporty & Rich editorial. I have never shot the product on a model, so I'm glad I'll finally get to style my own product. One more feature has been added, one that I'm most excited about. I have been a fan of the hip-hop photographer Chi Modu for some time now, not a lot of people know the name, but you've definitely seen his photos. 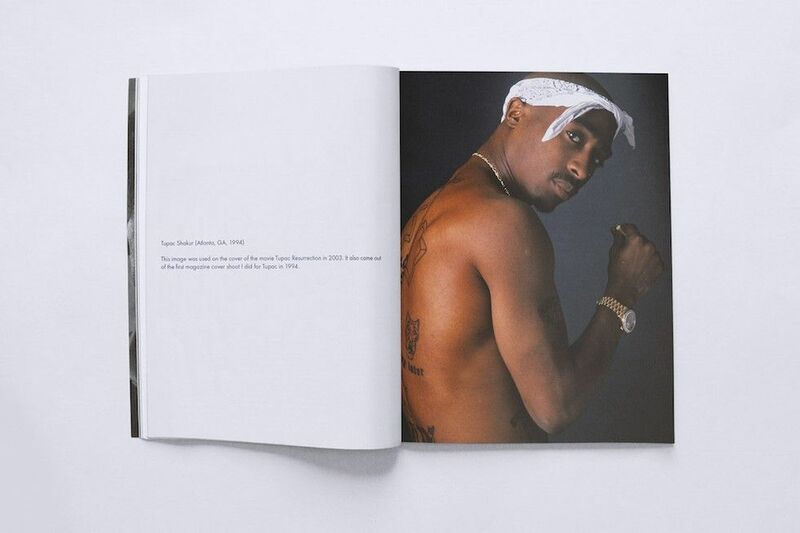 He took some of the most famous pictures of rappers like Biggie, Tupac, Eazy E, Snoop, etc. I reached out to him over Instagram, thinking for sure that I wouldn't get a reply, but I wanted to try anyway. And surprisingly enough, he hit me back. We later met at the Soho Grand and after a pretty great conversation, he said he was down to contribute some photos for the magazine. I am so appreciative that he wanted to be part of the project; he's a living legend. So we chose a few photos for the magazine together. I am glad to educate my readers on Chi, because I know they have seen his photos but I'm not sure they know who he is — this is one of my goals in creating the magazine. We first spoke about this project last August. Do you think having the luxury of time contributes to a better final product? It wasn't so much having the luxury of time as it was not having time to work on the magazine! Since then, I have worked on so many other projects and this kind of got pushed aside for a bit. But I think having more time to work on something isn't the best for the product. When you have so much time to think, you procrastinate over every decision and go back and forth with yourself a lot. If there is no deadline, you could be working on something for years; no project to me has ever felt completely finished and 100 percent ready to go. I guess that's why artists take so long when it comes to releasing music, there's always something you can change and you'll never be fully satisfied; you just have to let it go at some point. I have to assume you're highly motivated just because you're involved in so many things. Do you have a plan or are you kind of just seeing how it goes? Yeah, I do have a plan. I think in five years or hopefully sooner, my goal is to be a creative director, either for a brand or a magazine or maybe my own thing, hopefully. Maybe have a creative agency and just commission all the great people that I've worked with to do work for brands. My dream job, though, is to make soundtracks for movies. I don't know how I'm going to get into that, I always think about it. Maybe I could do it on the side some day. I think I'll always do a lot of things, but I definitely want to do that at some point.